The former “utopian” workers town will soon be home to the Pullman National Monument Visitor Center, and the designers have just been announced. While the uncanny South Side Chicago neighborhood of Pullman may not look too different since it was named a National Monument in 2015, that is all about to change. The former “utopian” workers town will soon be home to the Pullman National Monument Visitor Center, and the designers for the project have just been announced. The National Park Service (NPS), the Illinois Historic Preservation Agency (IHPA), and Chicago Neighborhood Initiatives (CNI), announced this week that Chicago-based firms Bauer Latoza Studio and Adrian Smith + Gordon Gill Architecture (AS+GG) will act as the lead designers of the project. The new visitor center will be located within the long-vacant Clock Tower Building, which was once part of the Pullman train car factory on 111th street and Cottage Grove Avenue. Once the center of the 203-acre community and factory, the Clock Tower has been nearly destroyed multiple times by fire and neglect over the last few decades. Bauer Latoza Studio is recognized for historic restoration and will be leading the design of the Visitor Center. AS+GG will handle the site design for the project. Other consultants on the project include Site Design, SPACECO, Inc., DAI Environmental, and sustainability consultants CKL Engineers, LLC. 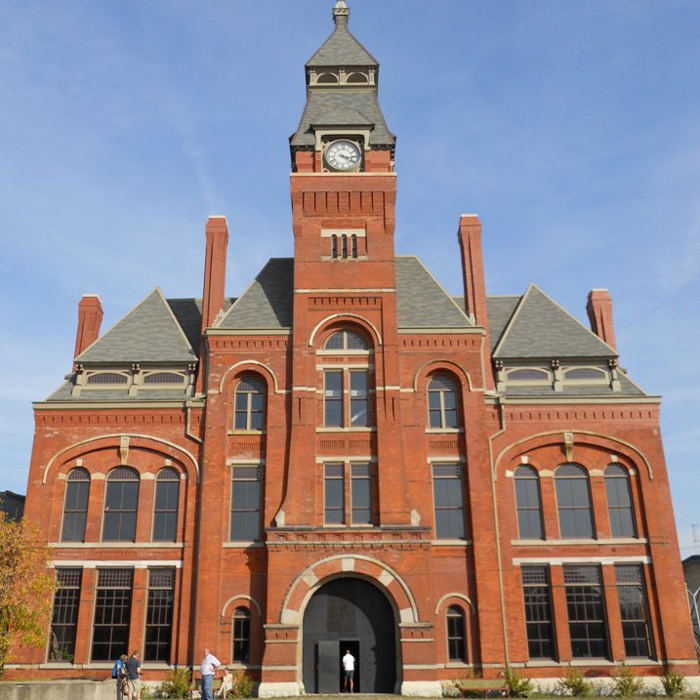 The Pullman neighborhood was founded in 1880 by George Pullman for the workers and families of his luxury sleeping train car company. The entire complex, which was once an independent town, was designed by architect Solon Spencer Beman and landscape architect Nathan F. Barrett, two twenty-something designers. The company shut down in the 1960s and the neighborhood saw major drops in population and rise in crime. In recent years, the area has seen something of a resurgence with new retail and living-wage jobs. Whole Foods is in the process of building a large distribution center in the neighborhood, and a community center and live/work art space are also on their way.